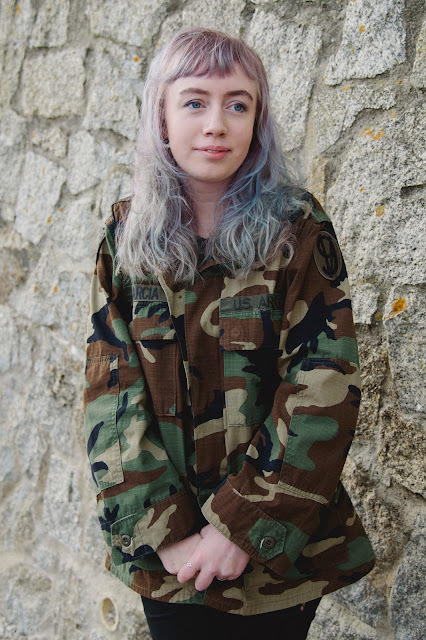 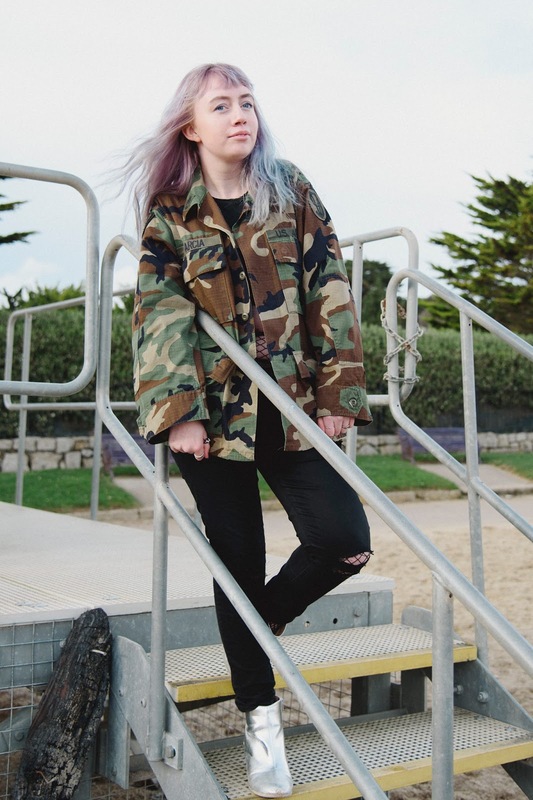 I recently got to take part in a photoshoot about bloggers and personal style in Falmouth and I thought I'd share a few of the photos from the shoot on here. 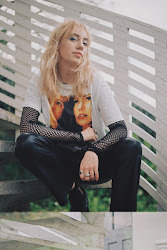 I've been obsessed with fishnets recently and wearing them with everything, weirdly including jeans just showing through a few rips and along the top worn with a crop top it can look really cool. 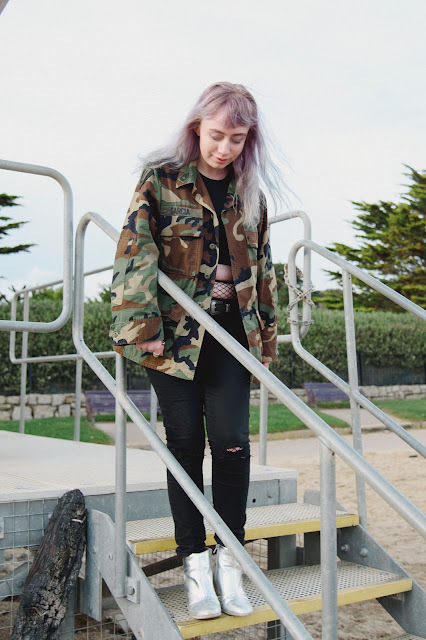 Now lets talk about these boots (if you haven't already seen them on a billion instagram posts, opps) bold boots are everywhere at the moment whether it be metallic prints or floral embrodeird patterns this ones were ridiculously cheap at only £12 in primark. 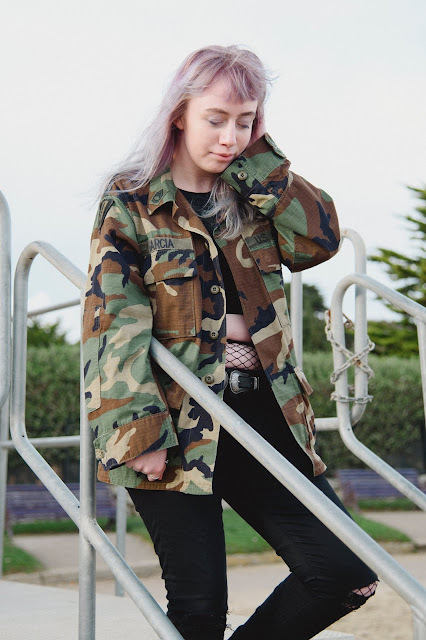 Now this jacket is actually my brothers but I practially live in it at the moment.